Could not resist the title. Take a closer look at the two images. These show the prices and main features of the tablets at the two extremes. In fact there are only extremes in the tablet market. There is no middle yet. What do these images say about price discrimination? Write your answers on the back of iPad3 and send it to me. 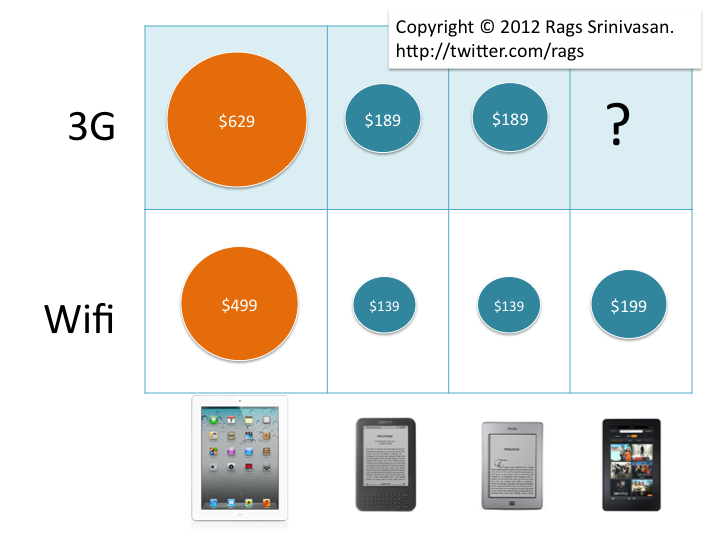 The first image lists prices of Wifi only and 3G versions of tablets. 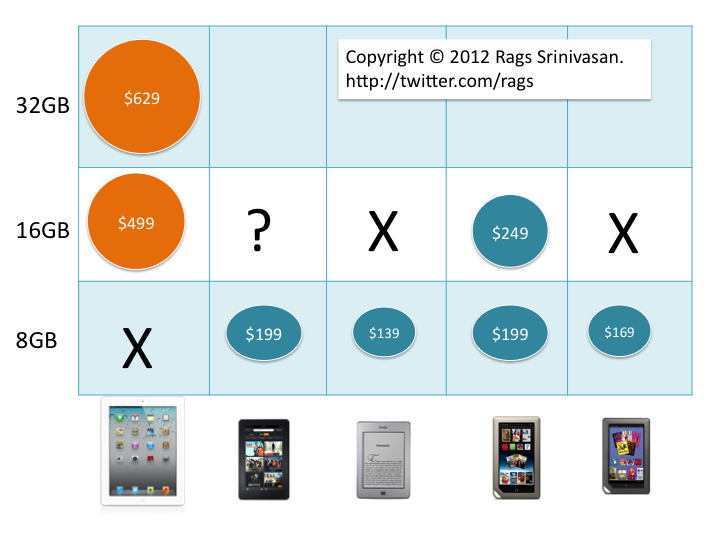 The second image shows the price difference of the tablets based on their storage.